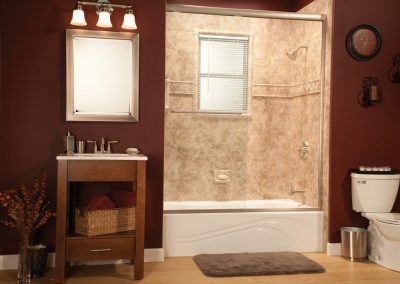 Our Custom Acrylic Wall Tub Surrounds can take an old bath or shower area from drab to spectacular in just one day! 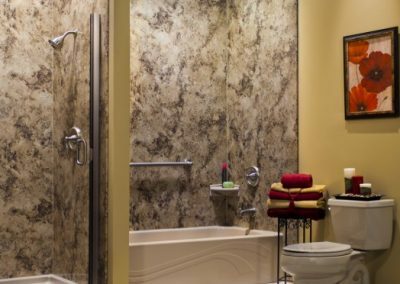 Each bath and shower wall surround is custom manufactured and in most cases installed over your existing wall, which guarantees a perfect fit. Don’t be fooled into a “one size fits all” surround that is made from a thin material. 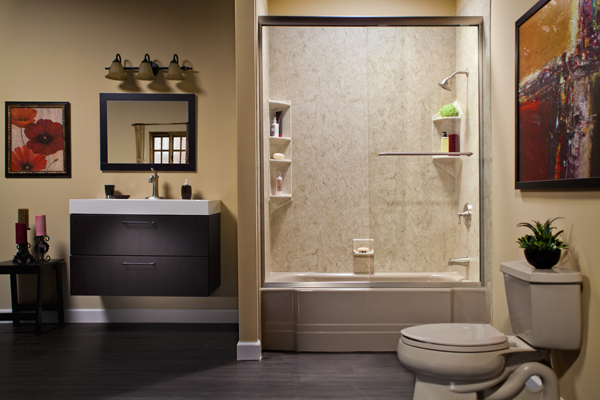 You can feel confident in the strong, durable acrylic we use. 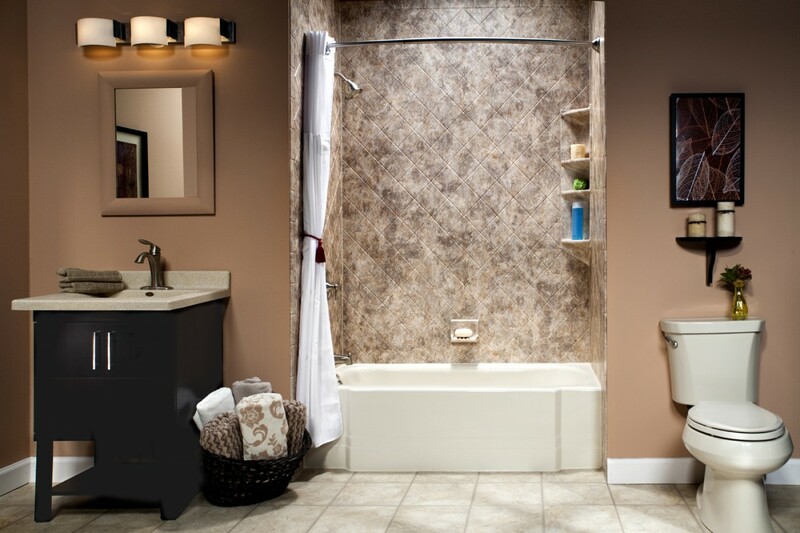 Our wall surrounds are non-porous which means they are easy to clean and they naturally resist mold and mildew. 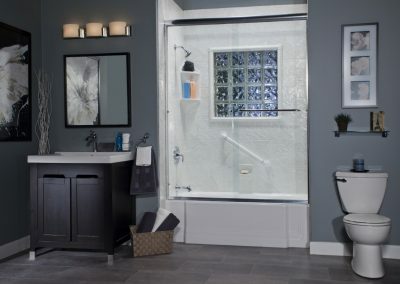 Plus our “triple lock seal” installation technique makes it nearly impossible for water to get under the wall surround, because we seal the bath or shower wall surround using three different sealing techniques. Professional Installation by certified factory technicians. 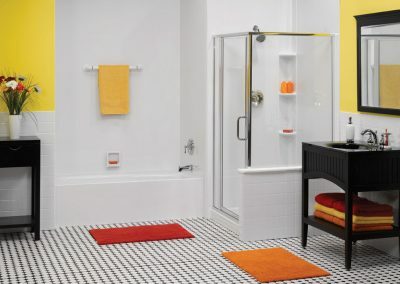 Low maintenance, no grout lines, non-porous for easy cleaning, naturally resists mold and mildew. 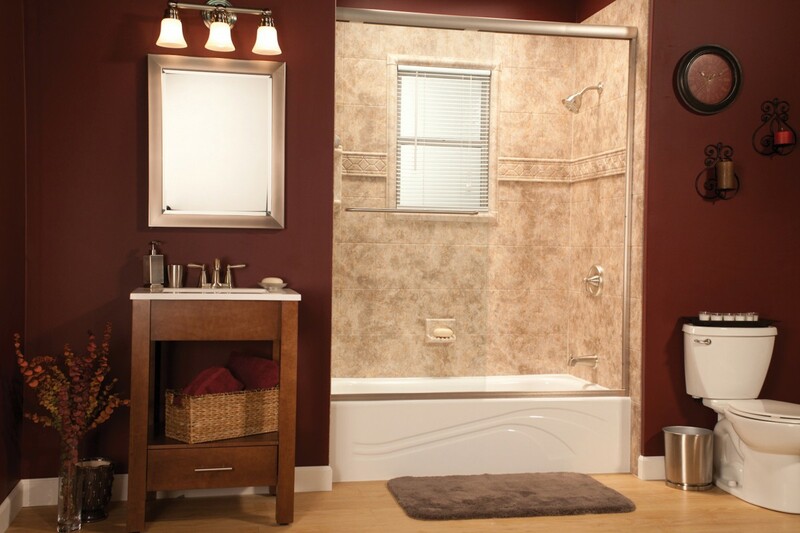 High-gloss acrylic in a variety of colors and patterns to match your bathroom. 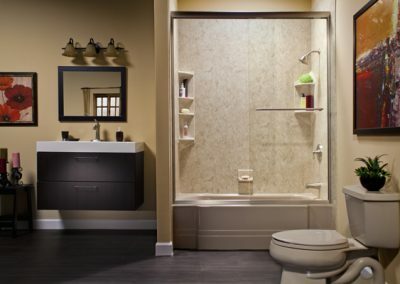 Accessory options include shelving, window trims and shutters, wainscoting and safety bars. 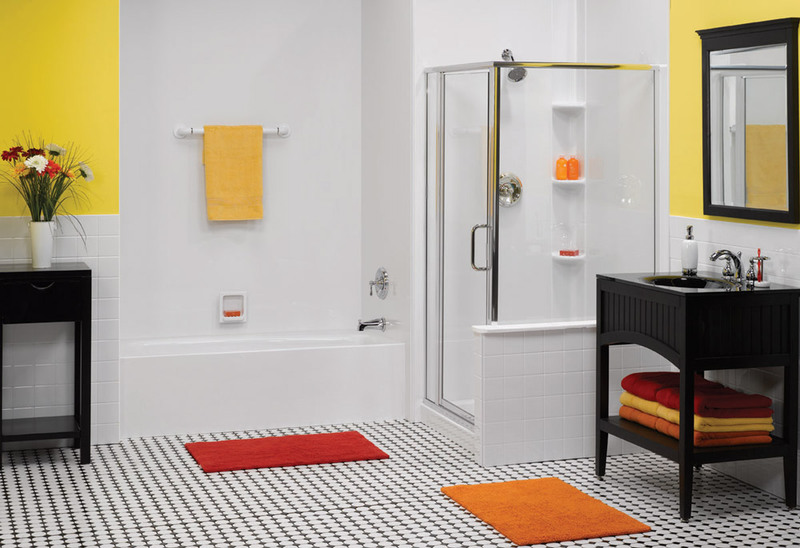 Please scroll down for sample colors and patterns or visit us at our showroom! 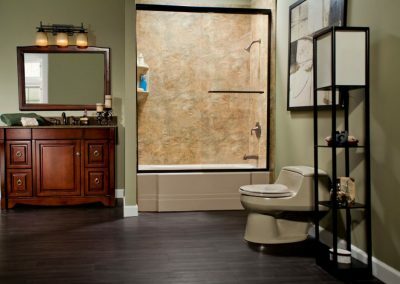 Visit our showroom and let our Bathroom Consultants help you make your bathroom dreams a reality! Not only has the end result proven to be beautiful, the journey getting there with your organization and team was most enjoyable. 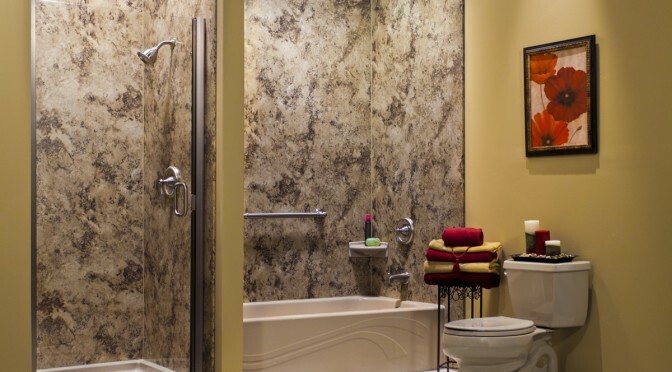 Certainly do not regret making the decision to go with Peterborough Bath Renovators! We are very pleased with the workmanship and dedication of your staff. It is lovely to say the least! We are very happy – you have tremendous installers who are very efficient and over the top! Just wanted to tell you how thrilled we were with our new sink! It is beautiful – and John (from Norwood) did an excellent job of installing it. Thanks so much for the fantastic job you did for myself and my brother! It gives me peace of mind to know that he will now be safer and able to take a shower. I cannot believe how quickly you came to our rescue. I would just like to tell you how awesome my bathroom looks. It is gorgeous and I just love my new shower. I am very pleased! 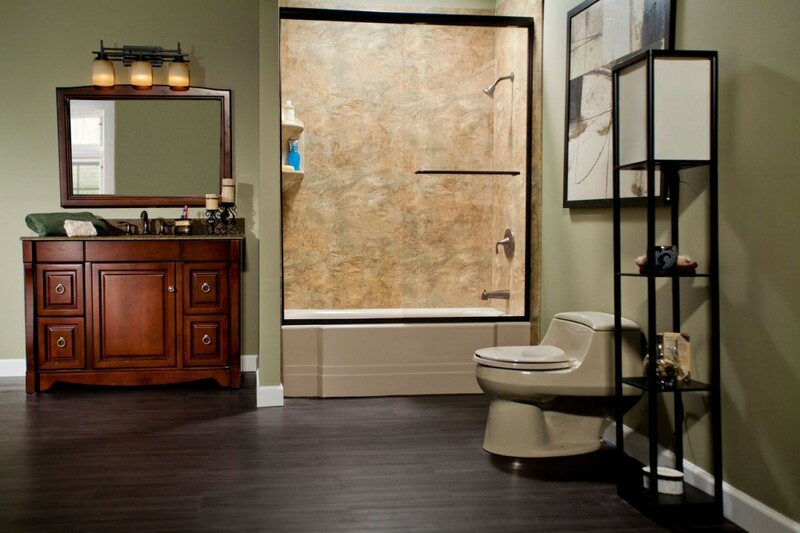 Thank you so much for my beautiful new tub and wall system – I am so pleased with the service from start to finish. You addressed all of my concerns from the start and found solutions to work within my budget! 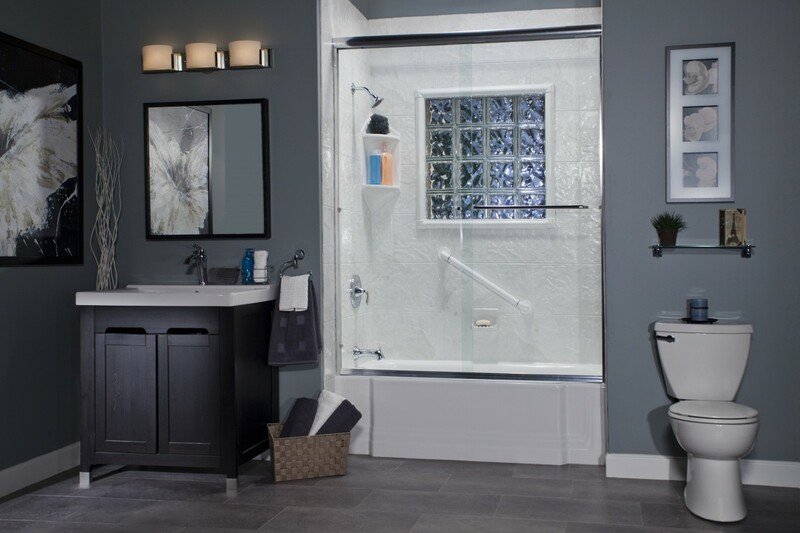 We are very pleased with our tub walk through. The job was very professional. Your installer was very nice, quick and left our bathroom as he found it. We will certainly recommend you to other people. 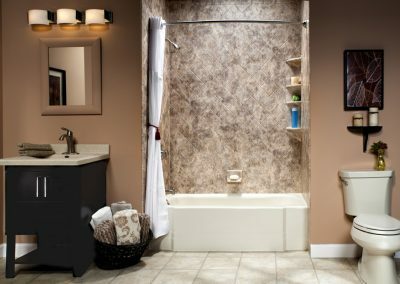 It’s rare these days to find companies that stand behind their products and workmanship the way Peterborough Bath Renovators does! I would recommend them to anyone who is unhappy with their tired old bathtub. I just love my new tub liner – the installation was fast, there was no mess and the job was finished perfectly! We are very happy with our tub to shower conversion – it really serves our purpose which was to make it safer and easier for my husband to get in and out of the shower area – the installation time was not an inconvenience at all and the installers left our bathroom in excellent condition after the job was completed!